Press releases about acquisitions tend to leave out the important bits. They make it sound like the acquisition was a magical, overnight event. They leave out the story, even the why of the acquisition. And they commit the worst sin of press releases — they are boring. Instead, I’d like to talk about how I met, and got to know, Justin Rohrman. We first met in person at CAST 2012, in San Jose, where Justin took a challenge to join the Miagido School of Software Testing; he spent the year working, studying, and blogging. A year later, at CAST 2013, in Madison, Wisconsin, when everyone else went out for a wonderful dinner, I proposed that we sit down with people who wanted to talk about freelancing and going independent, at a Subway near the conference facility. The location was not glamours, and that was on purpose. I had three people take me up on the offer, and Justin was one of them. That winter Justin went to the Workshop on Self-Education in Software Testing (WHOSE) where he tested for his next level in Miagido. The following year, he went to QAOrTheHighway; in 2014 he ran for the Board of directors of the association for software testing, where he earned a slot. By that summer Justin was helping Excelon at night, mostly on writing assignments; that summer we brought him into a one-week consulting assignment in Colorado. By 2015, I had been talking to Justin about freelance work for three years. He was contributing to Uncharted Waters, our IT Knowledge Exchange Blog, several times a month. He drove up to Columbus again for QAOrTheHighway, and to participate in the Workshop on Teaching Test Design (WHATDA). We finally found an assignment that was a good fit; Justin quit his day job and became an independent contractor working for Excelon as his #1 Client, in April of 2015. That summer, he was nominated, voted, and accepted the role of President of the Association for Software Testing. Justin spent the next year and a half doing excellent work. We collaborated on projects; we helped each other develop skills. I expect some people reading this, even insiders, are actually confused, because they assumed Justin was an employee already! No, he just represented well. Eventually Justin reached a point where he was attracting his own work, and could make his own deals. It just made sense to have him be an employee. The easiest way to do that would be to buy out his contract and bring him on board as an employee. It was at QualityJam 2016, in April, in Atlanta, that I got my notebook out and started running through the numbers of what that might look like. Keep in mind, this is an acquisition, not just converting a contractor to employee. Justin would get a real offer, in cash, to transfer his client list. He wasn’t interested in a profitability bonus either, even one made in good faith, hammered out collaboratively. Justin wanted to own his own company. In August of 2016, right before CAST, I flew to Nashville to talk to Justin and his family, and to run the numbers again. We hammered out an agreement on an all-stock acquisition, where Justin was compensated in stock in Excelon, with stock options to purchase more over time. 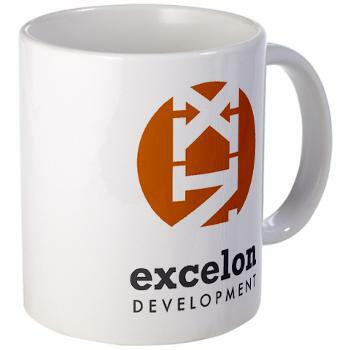 Then came meetings with our lawyer and accountants to restructure Excelon as a corporation that can issue membership shares, along with a lot of effort to make sure we had enough work lined up for an employee in the year to come. Finally, on January 1st, 2017, Excelon purchased the assets of Justin Rohrman’s company, including existing contracts. Customers that currently get an invoice from Justin Rohrman’s company should now expect to see invoices from Excelon Development. Otherwise, things should remain pretty much as they were. So there you have it. From talking to each other to full-time contract three years, and from contracting to purchase, almost two more. Two weeks ago, a friend asked me the best way to go freelance. The short answer is: A whole lot of things, that, ideally, you started doing three years ago. Not many people are willing to put in that kind of work. Justin Rohrman is one of them. Please join me in welcoming Justin not only as part of the Excelon Family (really, he has been, for years), but as an equity partner in the business. While your at it, you can read his side of the story on the Uncharted Water blog..